Did you pick up on the similarities between Watchmen and AHS season 7? 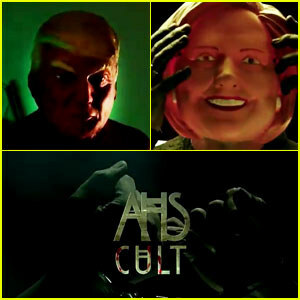 American Horror Story's seventh season, Cult, came to an end back in November. Still, I decided to re-watch the entire season over winter break. 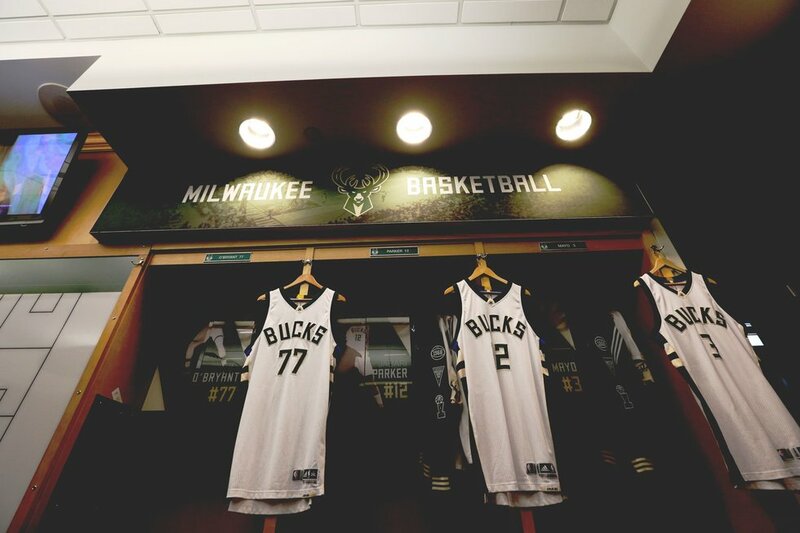 Part of this decision was out of boredom. 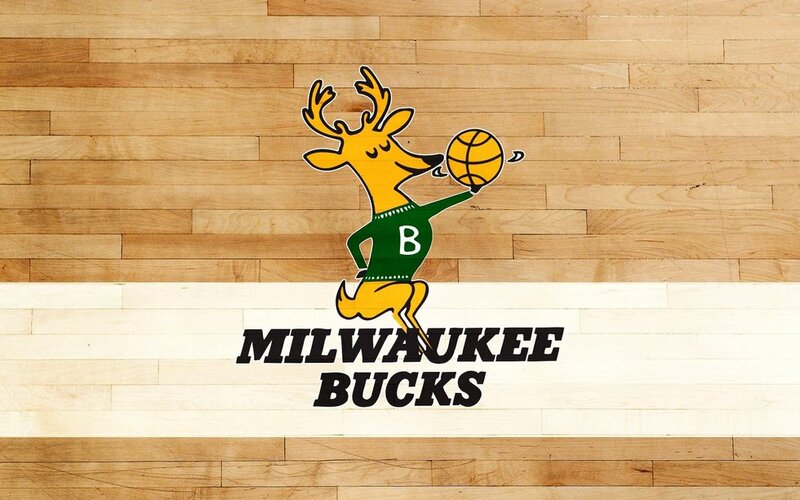 But there was another reason I did this. Halfway through the season back in November, my philosophy class started reading Watchmen. Once we began reading it, I immediately began to see reflections of the graphic novel throughout the episodes. This one was an obvious tie. 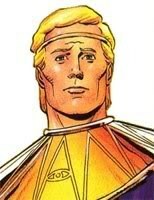 Ozymandias is the son of the leading couple in Cult, Ally and Ivy. Ozymandias is also the name of one of the main vigilantes in Watchmen. Ozy in Cult does not have quite as important of a role as Adrian Veidt does in Watchmen, but the name tie is very noticeable. 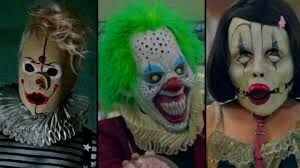 Just as the vigilantes in Watchmen wear costumes to protect their personal identities from being exposed to the public, members of Kai's cult wear clown costumes when they perform their murder rituals to hide theirs. The situations are different but the reasoning behind wearing costumes is the same. Both Watchmen and Cult are centered around major political events. 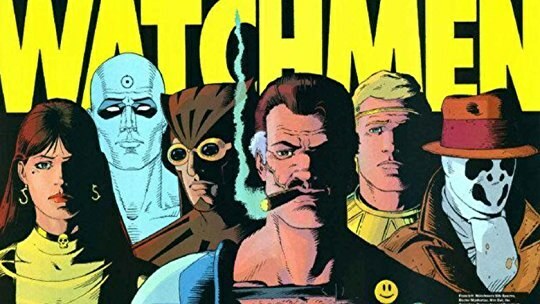 Cult takes place during and after the recent presidential election while Watchmen takes place after the Vietnam War, when the United States and the Soviet Union were on the verge of starting World War III. Yes, Watchmen itself is a graphic novel. However, there is a comic within the comic. 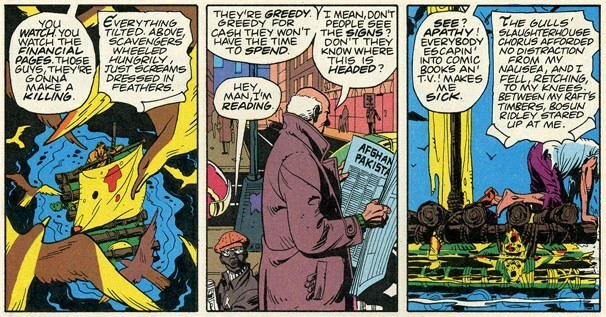 A boy at the newstand in Watchmen is seen in multiple chapters reading from "Tales of the Black Freighter." Events in the comic parallel events going on in Watchmen. 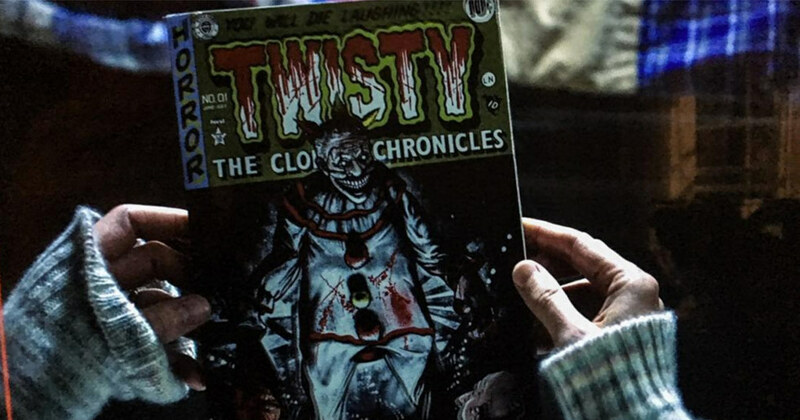 On a somewhat similar note, Ozymandias in Cult is seen reading a comic about a killer clown, Twisty. This comic seems to parallel what is going on with Kai and his Cult dressing up like clowns when they murder people. 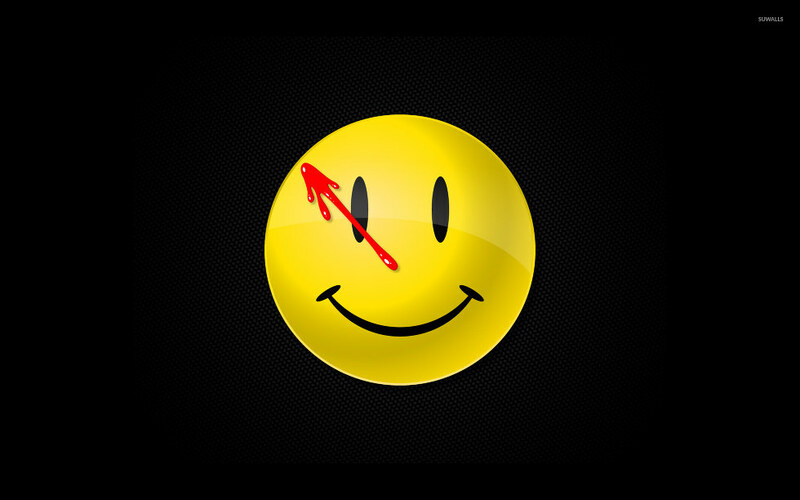 Throughout Watchmen, a smiley face symbol with a splatter of blood is seen. I believe it represents the murder of the Comedian, one of the vigilantes (it may have other symbolism too but I'm not exactly sure what that may be). 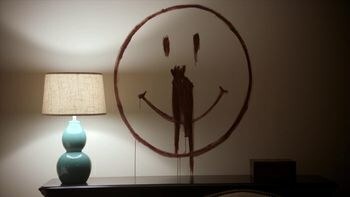 Whenever the clown cult commits a murder, they leave behind a smiley face symbol, too. It also has a splatter of blood, just in a different spot. I did find some more ties but I wasn't exactly sure how to explain them and they were a bit of a stretch. Still, the five points that I made above cannot be denied. I don't know if these are coincidental or if the writers of Cult had Watchmen in mind, but either way I think it's pretty neat.